Boxing Day not only means a 2nd Christmas. 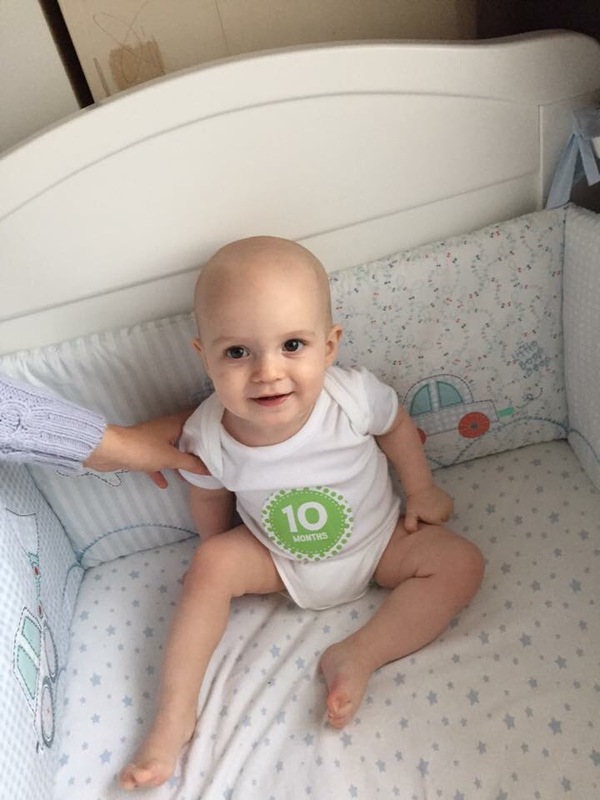 But Archie turns 10 months old!! How is it possible in 2 short months my baby is going to be a whole year. This makes me so emotional. So much has happened this month it is unreal. Not only is Archie talking and crawling, he’s standing and trying to walk. There’s no stopping this little guy now. He is on the move. 3 new words have been added to his vocabulary this month “Kiki” (for my sister Kirstie) “Nan Nan” ( for his Nanny) and Grandad. Archie now weighs 20lbs and eats absolutely everything. He is having 3X 7oz bottles per day (morning lunch and bed) and is also having 3 meals plus snacks. Bedtime has been moved to 6:15/6:30 now instead of 6:45/7:00. This month has been a bit of a struggle with bedtime as he just wants to play with everything. He doesn’t want to sleep so we’ve had to bring it forward so he doesn’t get overtired. Once he is FINALLY asleep he will normally sleep right through till 6:15. We’ve have a very hectic month. I’ve been picking up a lot of extra hours with Christmas coming up and we’ve been building memories in the lead up to Archie’s first Christmas. We’ve visited Santa, seen his reindeer and made Archie his very own plate to leave out for Santa. We spent a day writing our Christmas letters and posting them, putting up the decorations and going to see Christmas lights. It’s been a magical month and I’m sad it’s all over. Archie has the most amazing Christmas and it was a lovely day watching him open all his pressies and get excited over all the wrapping paper. Archie is very nearly walking now. I think by our next update I will be able to report first steps. He pulled himself up onto anything and potters around. He now has a walker which he got for Christmas which he loves to push around. He is such a confident happy little boy I could burst in so proud of him. < Archie: 9 Months Old.